The Sportsman Gun Centre is “THE” UK’s largest gun shop, mail order and internet company, supplying to both trade and retail markets. Since the company was founded in 1971 it has gone from strength to strength to its current position as the UKs number one destination for game, clays and rifle shooters alike. 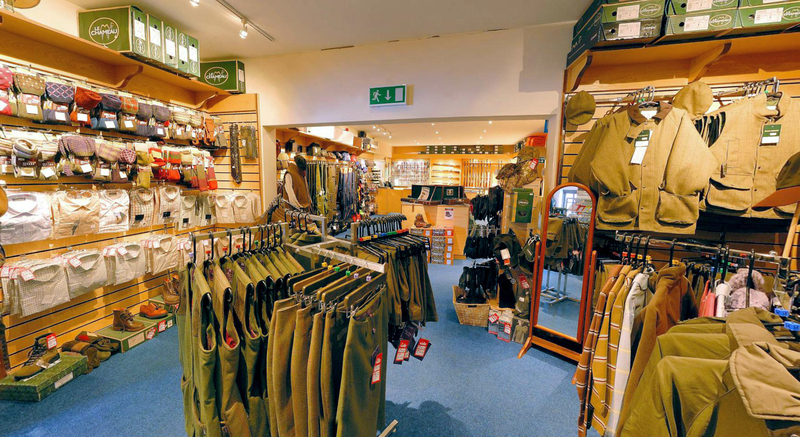 The Sportsman Gun Centre now encompasses three of the largest retail outlets in Europe. These stores proudly cover the Southwest of England and South Wales (Exeter-Devon, Wardon Hill-Dorset, Newport-Gwent). The store locations allow easy access from London, the midlands and the south coast. The Sportsman Gun Centre exclusively represents Steyr Mannlicher rifles amongst others. We are also privileged to be UK distributors for Nightforce, Warne and Harris bi-pods. Throughout its 28 year history the Sportsman Gun Centre has won numerous domestic industry awards for both the products it supplies and the service provided. The company has been built on a foundation of delivering unbeatable prices and unrivalled service backed by knowledgeable staff. In 2007 we were very proud to open our flagship store on the outskirts of Exeter just 1 minute from Junction 30 of the M5. 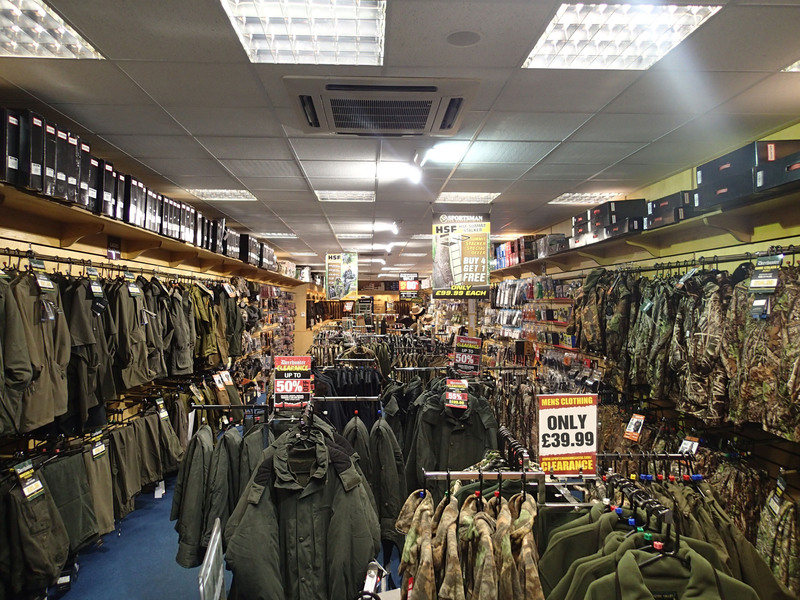 This store is possibly the largest Gun Centre in Europe and is the largest in the UK. Covering an impressive 22,000sq ft our Exeter superstore boasts an awe inspiring 6,000sq ft Showroom. We are confident that you will be amazed at the massive selection we have to offer.The store can boast over 2000 Shotguns, 800 Rifles and a vast selection of air guns in stock at any one time. So you can be sure to find your perfect gun. The store is also one of a handful of stores worldwide to carry the privilege of Beretta Premium dealer status. It is an acknowledgment of the prestigious levels of high grade guns that we stock in addition to the full and complete Beretta range. The store also carries a massive selection of ammunition and reloading equipment to meet all your shooting requirements. Add to this a very impressive clothing section that includes attire from Harkila, Seeland, Le Chameau, Lakson, Musto, Deer Hunter, Jack Orton, HSF, Browning and Beretta. We also have a selection of over 1000 optics from many of the world’s leading manufacturers including: Nightforce, Schmidt and Bender, Swarovski, Bushnell and Nikko Sterling. We are also proud to be the newly appointed gun industry distributor for Farr quads and ATV vehicles, a selection of which we have in all our stores. The Exeter Branch is managed and run by a very successful team whose combined experience totals well over 150 years. Why not come and visit us and you will understand why we have reached and are maintaining our position at the very top of the trade. The Sportsman Dorset is situated on the “Premiere plus” shooting ground of Southern Counties, located on the A37 between Dorchester and Yeovil. The Sportsman Dorset is a purpose built shop that stocks over 400 shotguns, which range from high grade game guns to sporters and trap guns. Add a range of 200 rifles from Steyr Mannlicher, Sako, Tikka, Remington, Anschutz, Ruger and CZ to name but a few. Bolt on a room devoted to air guns and air pistols and a similar room for the complete outfitters for shooting and you have a winning formula. The store is managed by Emma Blunden and her team who are keen to help on any matter from reloading to gun fitting. Come and see Wales’ biggest gun shop! SPORTSMAN GUN CENTRE Recently acquired in 2008 the Sportsman’s Newport store is situated just off the M4-Junction 28 in Newport, South Wales just across the river from Bristol. The store has recently undergone a major refit and now boasts more shotguns, rifles and air rifles than any other gun shop in Wales. The shop has a relaxed atmosphere with two beautiful Beretta and Browning shop in shops, thus giving you the perfect choice from the UKs two favourite brands. The stores wide range of rifles, optics and accessories makes the Sportsman Gun Centre Newport the “one stop shop” for Wales. The air gun team is headed up by one of Wales best FT air gunners who has a wealth of practical and in depth knowledge. A full range of models from the brands BSA, Air Arms, Weihrauch, Crosman, RWS, AGS, Crosman, Daystate and Theoben are available in store. The manager of the store has over 30 years experience with guns and shooting and welcomes any enquiry you wish to put to him or his team.